It?s exciting to watch manufacturers grow and mature, and we?ve made no secret of our interest in Hyundai?s growth both in sales, but also in quality and range. Over the 27 years we?ve written about cars, it seemed that every time Hyundai brought out a new model, or revised one, it was a major improvement on the last, not just not some minor embellishments. By the end of 2017, the Hyundai vehicle count will be up to 15 models offered in the U.S. Plus, they have a $1.8 billion manufacturing facility in Montgomery, a major proving grounds in the California desert, and combined with their affiliate Kia they sold nearly eight million vehicles worldwide in 2016. We?ve driven the luxurious full-size G90 sedan and the mid-level G80 sedan. 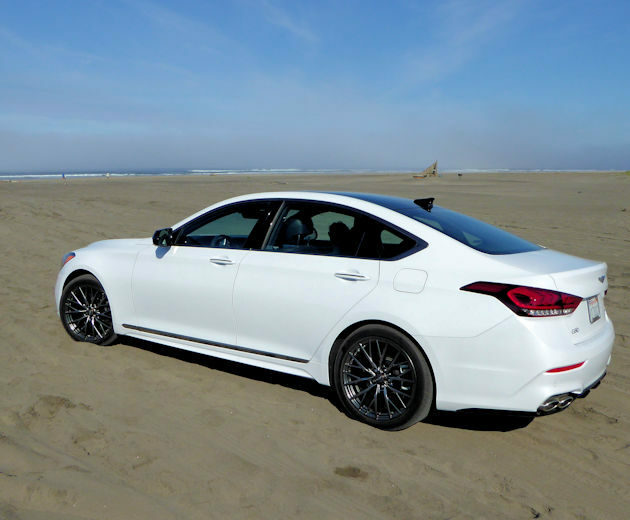 Now it?s time for the next step in the Genesis story, the G80 Sport which is enhanced design, features and the or performance version of the G80. From a mechanical standpoint is has a more powerful engine, bigger brakes, better suspension and a few design enhancements. 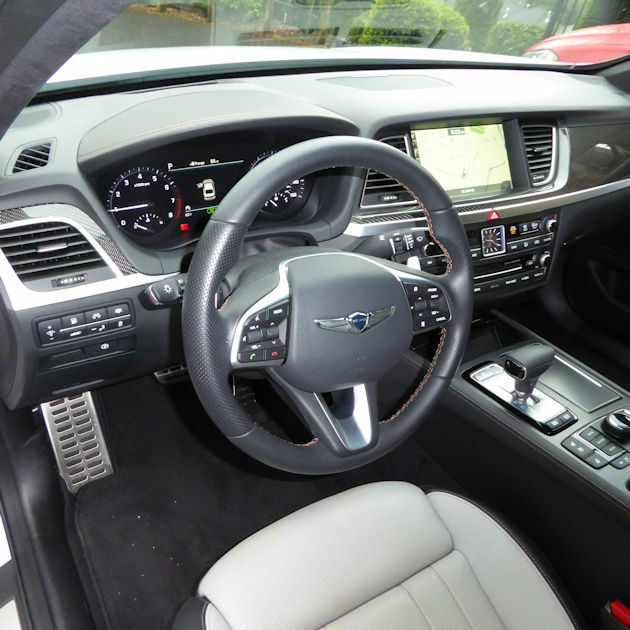 When we look closely at the G80 Sport features list, the G80 Sport has every single feature we?ve wanted on a car, plus a few others that never made our list. 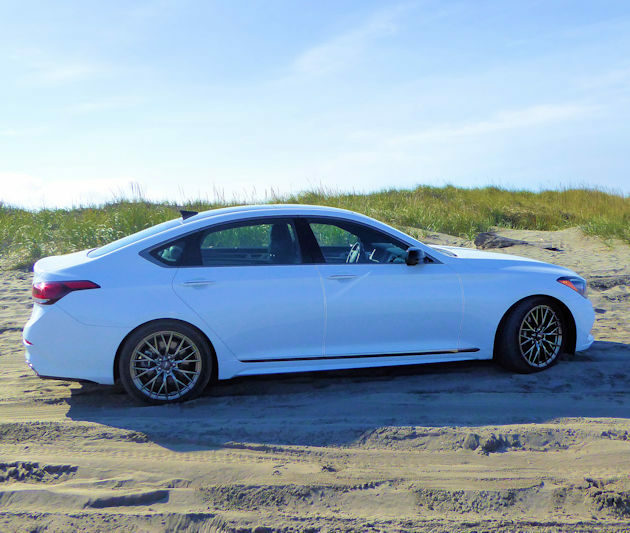 The G80 Sport is the first car we?ve considered buying for ourselves, in our nearly 28 years in the automotive journalism business, (except for a brief infatuation with a Subaru WRX). We?re not going to list all the features, because it would take more room than we have. If you?d like details, you?ll find a comprehensive list of the Sport and other versions at https://www.genesis.com/us/en/genesis.html?. Also, if you?d like to read our earlier review of the G90 and G80 go to https://ourautoexpert.com/2017-genesis-g90-and-g80-test-drives/. 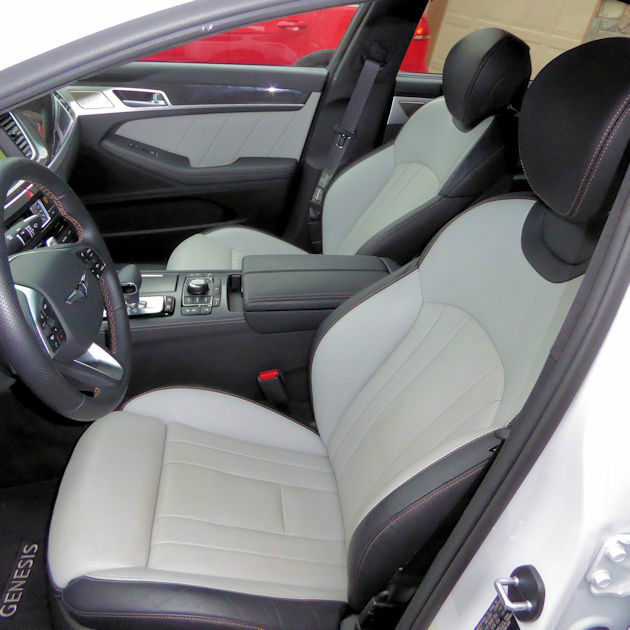 The Sport model includes all the features of the G80 when it is equipped with the ($10,100) Ultimate Package in addition to a twin turbocharged 365-hp 3.3-liter V6 engine with eight-speed automatic transmission, larger ventilated brakes at all four corners, 19-inch tires, a continuous damping sport suspension.? 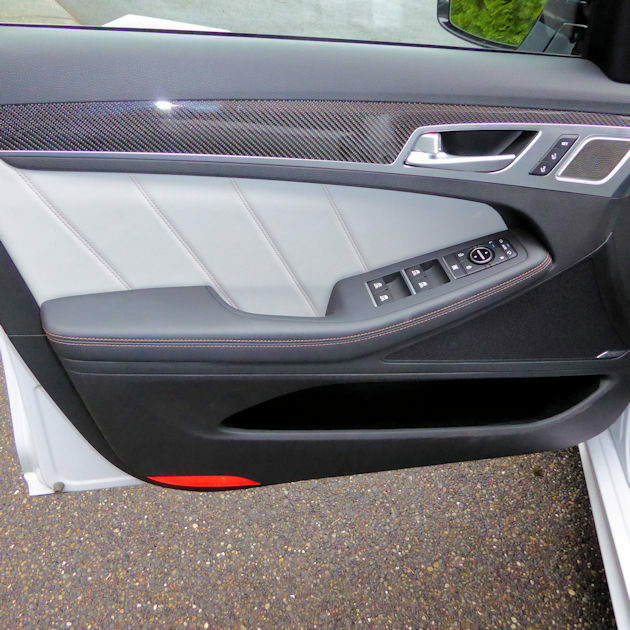 It also has a multi-view camera, black microfiber headliner, real carbon fiber trim, illuminated sill plates and several other distinguishing cosmetic variations, including a distinctive, but subtle, copper trim in the headlights, grille and wheels. Living in the Northwest, we think the HTRAC all-wheel drive is a ?must have? $2,500 option. The sophisticated system controls the braking power of both left and right wheels, changing the amount of power delivered to each wheel when driving on slippery roads and the speed of the car. The net effect is excellent stability on a variety of conditions ranging from high speed driving to driving on poor traction surfaces. The Genesis G80 is also available with a 420-hp V8 engine, but it?s not much quicker than the twin-turbo V6 Sport. We think the V8 might disappear in the future. Unless someone has a desire to own a big V8, we think most shoppers will be happier with the V6 options.? 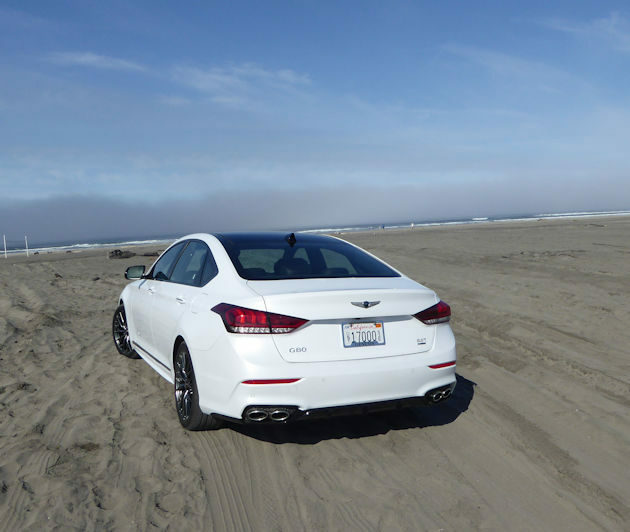 When we get a comfortable, fun car like this one, it usually requires a trip to the Oregon or Washington coast, so we can try it out on the winding two-lane roads. Bill thinks the G80 Sport is safer than the G80, because of its quick passing power. Barbara thinks it?s a ticket magnet. The G80 accelerates from 0 to 60 in 6.6 seconds, while the Sport does it in 5.2 seconds. It?s not as fast as some of the high-performance competitors, but it?s a very drivable car. It stays flat in the corners, brakes quickly when needed and delivers a well-controlled quality ride. The EPA lists the fuel economy at 17 mpg city, 24 mpg highway and 20 mpg combined. We averaged 24.4 mpg during spirited driving. 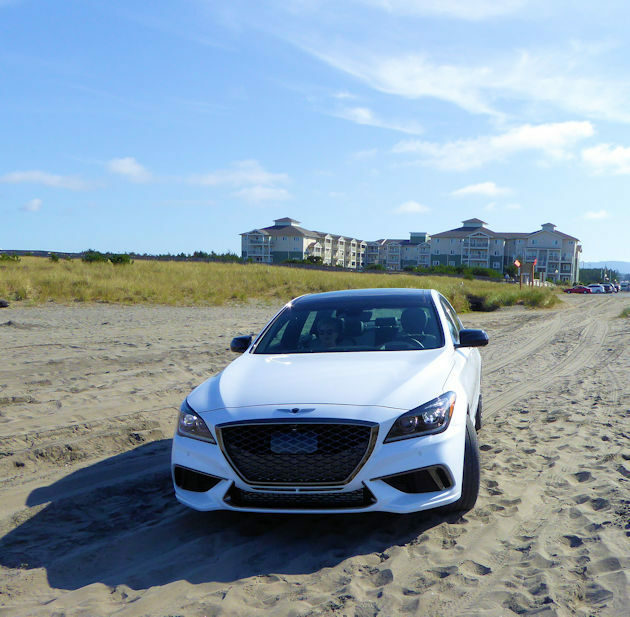 Competing against cars like the Mercedes E Class, BMW 5 series, Volvo S90, Cadillac CTS, Lexus GS and a few others, the Genesis is in a tough category. 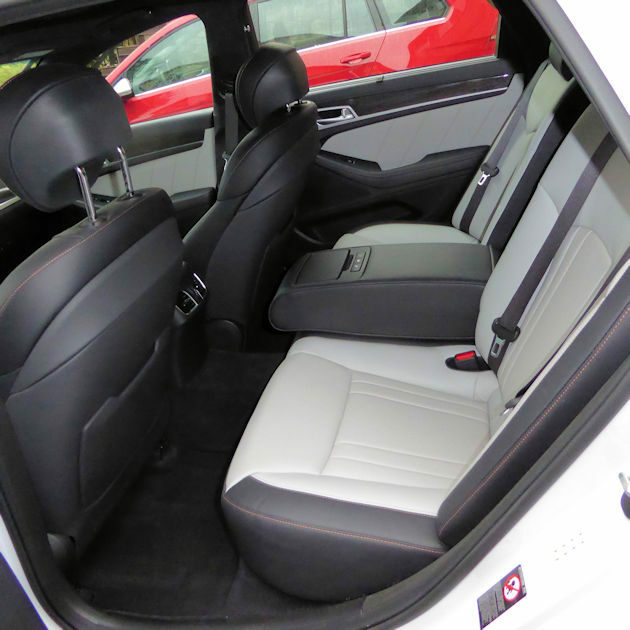 We think it competes favorable with all those cars, but it is better equipped and a better value. 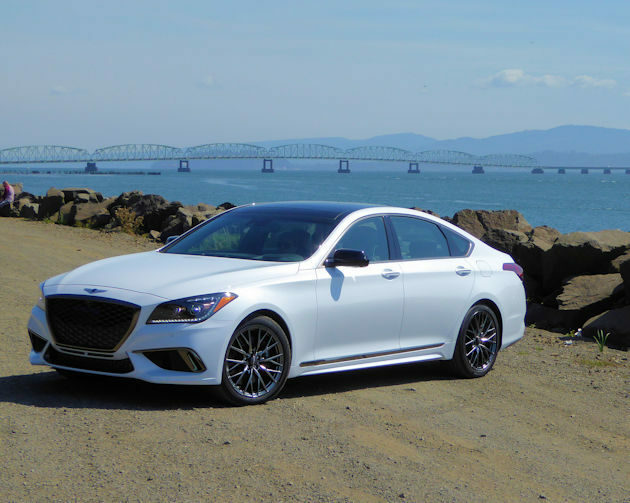 The Genesis G80 pricing starts as low as $42,725, including the destination charge, for a very well-equipped rear-wheel drive luxury car. With the Ultimate Package and all-wheel drive the price jumps up to ups to $56,325. 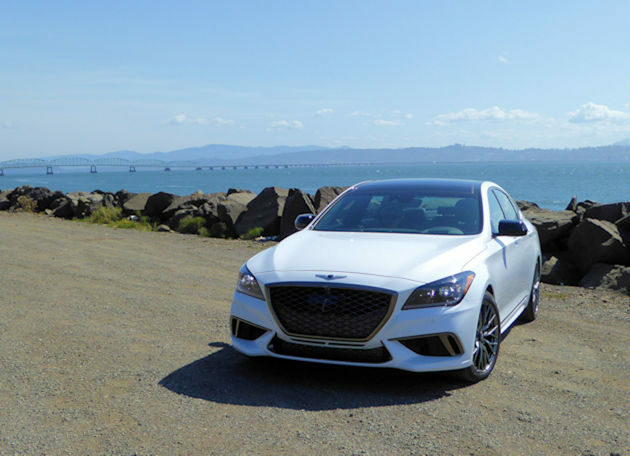 The AWD G80 Sport has every conceivable feature you could want, plus the performance enhancements for $58,725 ? We think that?s a bargain and an outstanding luxury sport sedan. The big plus, that attracted our attention, is all the extras included with a Genesis purchase. For the first three years or 36,000 miles, Genesis will perform remote diagnosis checks, pick up your vehicle when routine service is due, leave you a courtesy replacement vehicle, and the scheduled maintenance is free. The connected services such as Enhanced Roadside Assistance, Destination Search powered by Google? and Remote Start with climate control are free for the first three years as is SiriusXM Travel services, Travel Link and Roadside Assistance. Then there is the 5-year, 60,000-mile warranty and 10-year, 100,000-mile powertrain warranty. It doesn?t get much better than that. Before you Buy the 2018 Ford Expedition watch this!